Home > The Group > Finarge Armamento Genovese s.r.l. 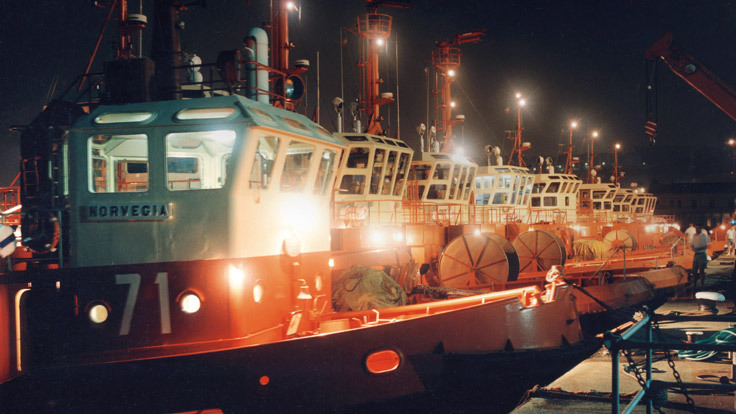 Finarge – Finarge Armamento Genovese Srl came to life in 1981, and is one of the companies fully controlled by Rimorchiatori Riuniti S.pA., which has a long and solid history in the shipping industry. After several years of ship management know-how, the company decided to move forward and invest abroad, particularly in Brazil, where since 1987 it has been working in offshore operations for one of the largest oil producers in the world, the Brazilian Petrobras. The Finarge’s fleet is tailored for all offshore assistance duties – anchor handling, towing, supplying, oil spill response including in deep-water exploration, which is a relatively new and growing field in the oil exploration industry. Finarge Armamento Genovese Srl has always been proud of staying on top of the service it provides, and has always been eager ​to comply with the latest safety developing standards.